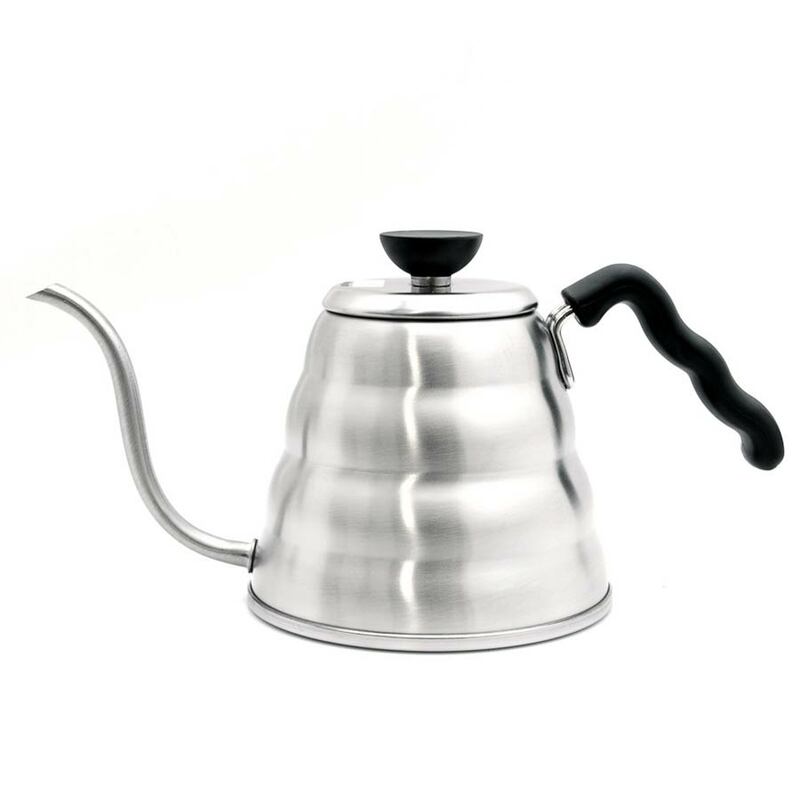 Hario’s V60 Drip Kettle is the iconic kettle you’ll see most often with pour-over coffee. 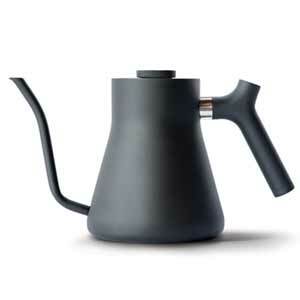 It holds 1 litre of water: plenty for even the biggest brew; and the goose-neck spout gives you precise control over the flow of water for your brew. 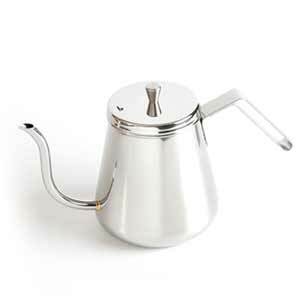 It’s built for gas, electric and induction stovetops, or you can fill it with water from an electric kettle.